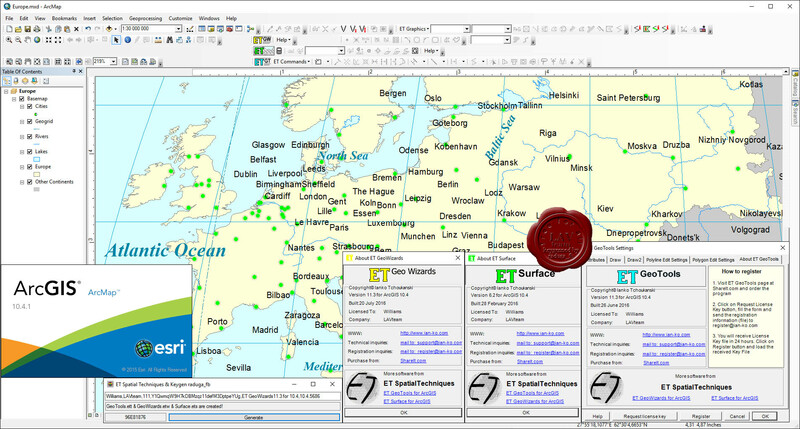 ET GeoTools is a set of tools for ArcGIS which purpose is to increase the editing productivity in ArcMap, give enhanced editing functionality to the ArcView users and enable them to create and maintain topologically correct datasets. 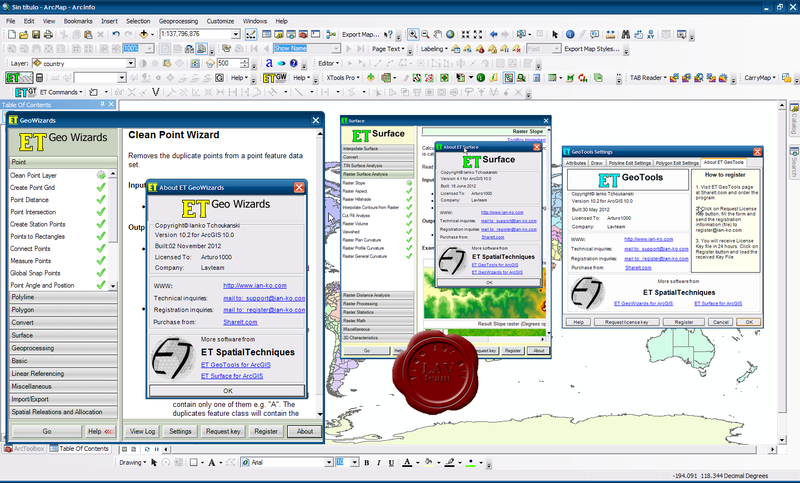 ET GeoWizards is a set of powerful functions that will help the ArcGIS users to manipulate data with ease. 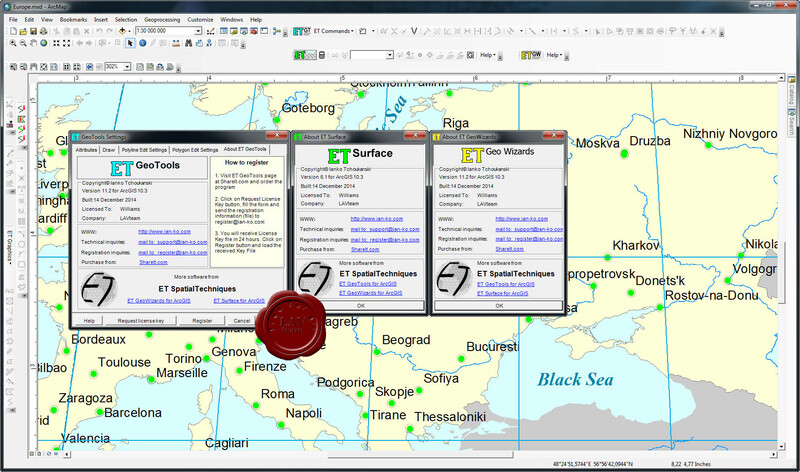 ET Surface is a set of tools for ArcGIS that enable the users to create surfaces and perform surface analysis without the need of 3D or Spatial Analyst extensions.